The techniques and technology we employ at the Surgical Weight Loss Centre are the culmination of decades of progress that allow us to provide superior care to our Gold Coast patients. When we look at weight loss surgery it is often through a modern lens and indeed the field has evolved rapidly but obesity is a problem that has existed since medieval times. 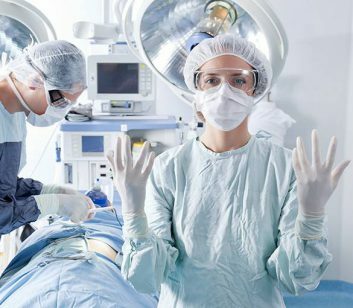 In the last 50 years, we have been able to develop as many as 50 new surgical techniques and laparoscopic surgery has improved its safety, effectiveness, and availability. There are historical claims that the first ever weight loss surgery was performed in Spain, the patient? Only the D. Sancho, the king of Leon who was reportedly so obese that he couldn’t walk, ride his horse or even pick up a sword, a series of factors that would eventually lead to him losing his throne. The famous Jewish doctor, Hasdai Ibn Shaprut, stitched his lips closed so that he was only able to be fed a liquid diet that included a mix of various herbs and opium. This eventually helped King Sancho to lose almost half of his weight and ended up retaking his throne and his ability to ride. After the rousing success of the king’s weight loss surgery, there is actually very little mention about it in any of the literature from the second half of the 20th century. In 1954, a doctor called Kremen performed the first metabolic surgery and used an anastomosis between the proximal jejunum and distal ileum, to bypass a large portion of the small intestine. In 1966, a surgeon by the name of Dr Mason, noticed that patients who received a sub-total gastrectomy used for treating cancer had lost a considerable amount of weight. He then proposed the idea for the first bariatric surgery which has been expanded since with several modifications made to the weight loss surgery that improve results. Perhaps the most notable of these was the laparoscopic Roux-en-Y gastric bypass, a particularly complex part of weight loss surgery that was notoriously difficult to master. With these important advances made by pioneering surgeons of the past, we are now able to make incredible improvements to your quality of life. We are dedicated to providing you superior care from start to finish and beyond.